As a longtime writing student and new instructor at the college level, Bad Ideas About Writing put into words the discomforts that I was already feeling about institutional attitudes towards “academic writing.” While these discomforts had been brewing for a long time, I was never quite sure how to express them – or whether I was even allowed to express them. In my undergrad program, and even as far back as high school, there had always seemed to be a general underlying disdain for recent generations of students’ writing and literacy skills. Even my father, a professor himself, has been lamenting his students’ writing abilities for almost a decade now, recently telling me that he “doesn’t even give the kids in his gen-ed classes writing assignments anymore, because he can’t bear to have to grade their horrible prose.” These kinds of attitudes always struck me as concerning on a number of levels, not the least of which being how these accused bad writers could possibly be blamed for their supposed lack of writing proficiency when the very institutions designed to provide them with these skills have already labeled them as insufficiently prepared. 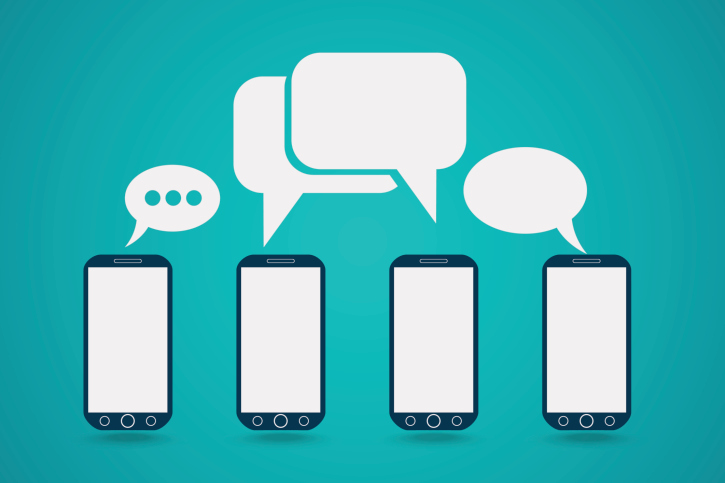 In asking how these notions of unpreparedness and illiteracy have arisen, we need look no further than the so-called generational crisis of digital communication– that is, the crisis of texting. The title of the chapter from Bad Ideas About Writing that I found the most affirming and useful, “Texting Ruins Literacy Skills” plays on the kind of accusatory language that nowadays seems to target younger millennials from every corner of higher education. Christopher Justice quickly identifies as myth the assumption that new generations of students are impaired by their texting practices, insisting that such a position “oversimplifies and overlooks numerous other important factors” (308-309). The argument to which he is responding often accuses texting and digital communication of causing students to be increasingly lazy, ungrammatical, and unable to craft compelling arguments – “doomsday scenarios” which Justice quickly discredits with the simple observation that if texting truly did cause illiteracy, the ubiquity of digital communication would have been accompanied by a much more dramatic decline in literacy rates in recent years. But for me, perhaps the most interesting dimension of Justice’s rebuttal is his insistence upon viewing the text message as a “sophisticated rhetorical act,” requiring the sender to think about audience, rhetorical context, and even kairos. Far from “ruining” rhetorical aptitude, the nuanced understanding cultivated by a texting culture allows students to practice the skills they’ll need for writing both inside the classroom and out. This was the observation that stood out to me as not only the most accurate, but the most useful in a pedagogical setting. If students are getting stuck in their “academic writing,” then why not help them to understand that they are already capable of making the kind of rhetorical choices that I’m asking them to think about for their assignments? Why not point out to them that not only can they write intelligently and strategically, but that they’re doing so every day when they pick up their phone? With this in mind, I made it a priority on the first day of class to bridge the gap between “formal academic writing” and “informal electronic writing.” Following a few ice breakers, I wrote two “texts” on the whiteboard for my students, complete with speech bubbles: “i failed the test lol” and “I failed the test.” Did these texts say the same thing? Collectively, the students shook their heads. I prompted them to think about why they were different, how the flavoring particle of “lol” functioned, what they would assume about their friend’s mood or intention if they received each these texts from them, and what each text’s intended audience might be. Stemming just from this exercise, the students generated a lively and intelligent discussion about communication strategies, emotional appeals, and intended audiences – all before I had introduced them to the elements of a rhetorical situation, and before they had so much as cracked open their textbooks. The only thing I taught them on the first day was that they are already experts at the kind of communication we’d be practicing in this class; the audience and structure of their assignments will vary, yes, but the skill set is already there. Finally, aside from the content of their responses, I was pleasantly surprised to find that more members of the class completed this homework assignment than any other assignment since the second day of class. Furthermore, I found that the clarity and sophistication of this batch of writing had, as a group, increased markedly since writing that they had handed in even before. Although I never stated it outright in the directions, it seems that something about being given the permission to write like themselves, without fear of being reprimanded for grammar or informality, open up their ability to write and to learn. It seems to me that if the book gave my students anything, it was relief from the fear that simply by being young people in the twenty-first century, they were somehow unprepared for the collegiate tasks ahead of them. Bad Ideas About Writing has helped me shape a classroom environment in which our “non-academic” writing doesn’t have to be left outside – where students can be their digital selves.